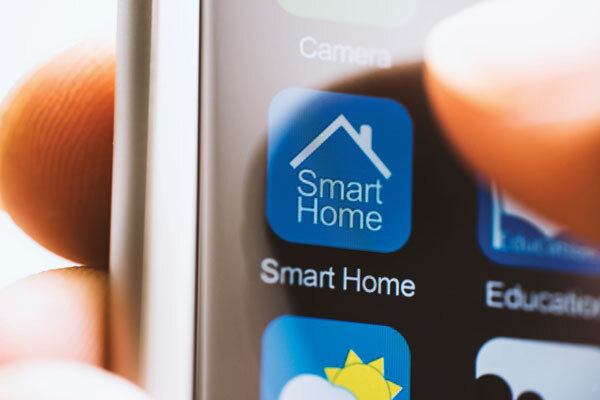 Woodstock Hardware’s Smart Home Program provides you a great opportunity to make your home a Smart Home To make your home a Connected Home. What does that mean? That means Woodstock Hardware can provide you the products, expertise, and service for you to control and protect your home through your smart phone. Check out Woodstock Hardware’s Smart Home Brochure. Yup, raise and lower the heat, see who is knocking on the door, view the interior and exterior of your home, and even control the door locks form anywhere in the world there is cell phone service. Visit all of Woodstock Hardware’s Smart Home Products. Here are a few answers to common questions that will help you better understand Woodstock Hardware’s Smart Home Program. Why choose Woodstock Hardware to help you get your home connected? We sell the most popular, top quality, smart home devices. We will help you select the right smart home device that best suits your needs. We provide you unparalleled service including; visiting your home to ensure your devices are working and helping you arrange professional installation services. With Woodstock Hardware’s Price Match Guarantee you can be confident you are “shopping smart” at Woodstock Hardware. Most smart home devices can be set up in three easy steps using your smart phone. Problems setting things up? A trained professional from Woodstock Hardware will visit your home and help you get your smart home devices working, for FREE. Need help? Woodstock Hardware has partnered with several dependable local professionals who you can coordinate installation of any of these smart home devices. Woodstock Hardware will work with you to ensure these professionals successfully install Your smart home devices. Whether you are looking to raise your heat on the ride up, want to make sure the outside of your home is safe, or who is at your front door, Woodstock Hardware has the products and supplies you need.